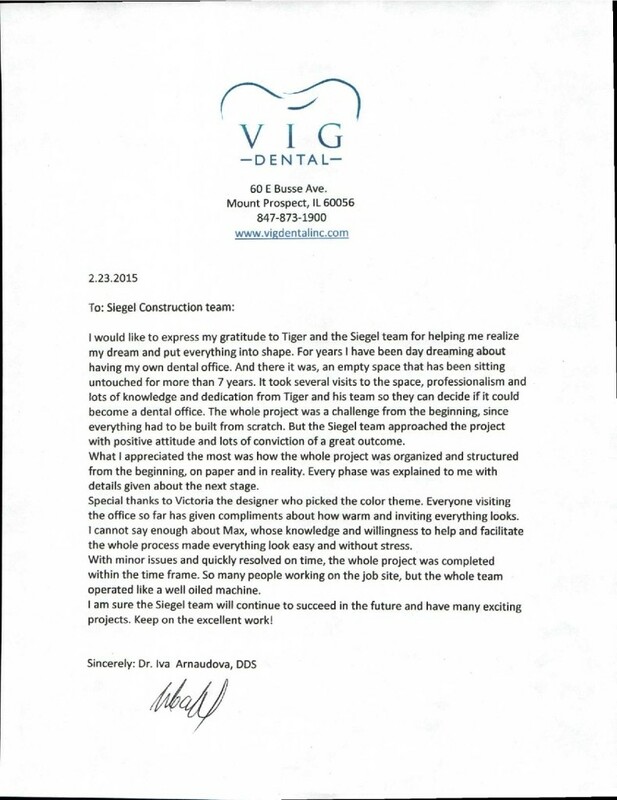 Siegel Construction was involved from inception until completion of the project. Architectural and design services included code compliance, ADA compliance, interior design. Construction services included cost planning and budget control; schedule control, safety and working with Landlord to bring the building to current standards. The office has 5 open design dental chairs,2 ADA Bathrooms, sterilization, laboratory, PAN x-ray and a staff lounge.